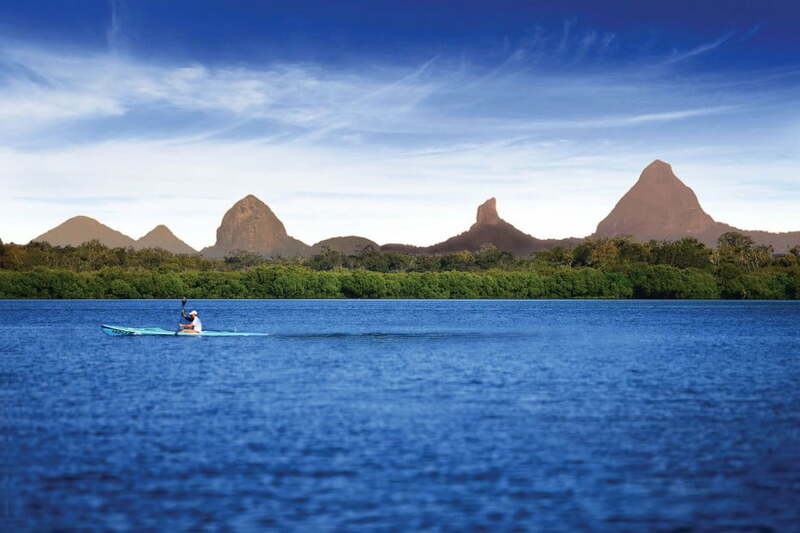 The iconic Glass House Mountains mark the beginning of the region, which includes over 100 kilometres of sandy beaches broken up by coastal hubs such as Caloundra. 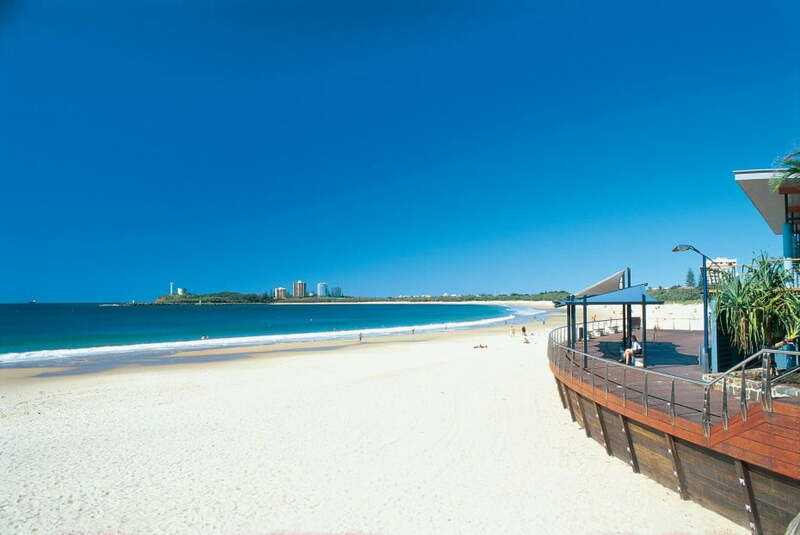 Mooloolaba lies in the heart of the region and within walking distance of Maroochydore. 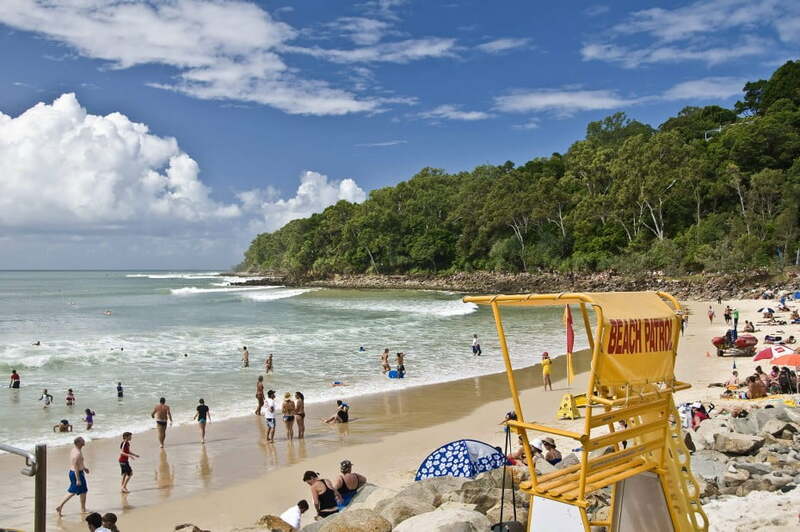 Beaches continue to stretch along the coast all the way to Coolum Beach and Noosa Heads, which was recently awarded UNESCO biosphere status. Nature still rules the roost here. With its endless beaches and pristine rainforests, the Sunshine Coast irons out the wrinkles of modern life. You can re-connect with your inner adventurer on a hike through the spectacular hinterland, with its craggy volcanic plugs, awesome panoramas and sites steeped in Aboriginal legend. Or explore maritime eco-systems, such as the Pumicestone Passage Marine Park, and come face-to-face with turtles, dolphins and dugongs. The Sunshine Coast certainly earns its name with an average of seven hours sunshine per day. The subtropical climate is ideal for the beach, alfresco dining and year-round activity. Whether you’re a family, a couple, a group of mates or a solo traveller, you’ll find plenty to see and do. The subtropical climate is ideal for the beach, alfresco dining and year-round activity. Play a round at one of the region’s 17 golf courses, check out the art galleries of Noosa, learn to surf at Coolum Surfing School, or learn to cook ultra-fresh seafood at one of Mooloolaba’s seven cooking schools. Get up-close and personal with Australian wildlife at Australia Zoo or swim with the humpback whales as they migrate past Mooloolaba from June to November. A jam-packed calendar of events brings extra excitement throughout the year. From the Noosa International Wine and Food Festival to the Queensland Garden Expo, there’s something happening every month. Near-perfect weather all year round means outdoor events are a big part of life on the Sunshine Coast. Market lovers will be in heaven when they discover the Sunshine Coast’s famous markets. The most famous is Eumundi Markets each Wednesday and Saturday in the historic hinterland township of Eumundi, 20 kilometres west of Noosa Heads. Have your palm read, nibble on handmade chocolate, listen to the musicians, and check out the fashions and jewellery produced by the local artisans.